Canon EF-M 18-150mm f3.5-5.6 IS STM Lens Black. The ideal all-in-one lens for EOS M users, looking for unlimited creative opportunities. Featuring 8.3x optical zoom, 4-stop optical Image Stabiliser and STM focusing technology. 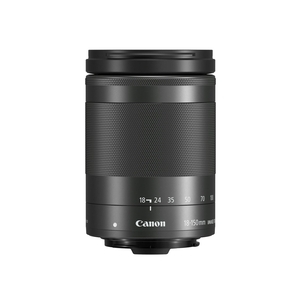 Shoot pin-sharp photos handheld or in low-light thanks to Canons 4-stop optical Image Stabilizer.